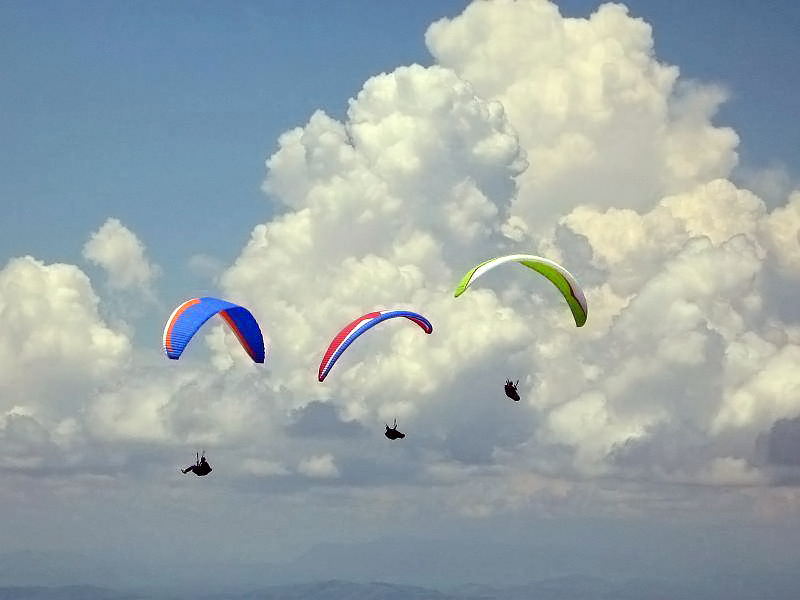 The FlyAway Team's instructors have gained XC and competition experience on five continents, which can surely be considered as a warranty for the highest human and professional level. Great company (with lots of foreigner pilots!) - fun and memories for a lifetime are guaranteed! If you have already decided to discover the world flying on colourful wings under the clouds, than let yourself get on with the (3) Pilot training. We will count 50% of the intro program fee into the basic level pilot course. 2+1 days that contain theoretical education on basic level (including meteorology, equipment knowledge etc.) and introduction to ground handling of the glider, different take-off and landing techniques. 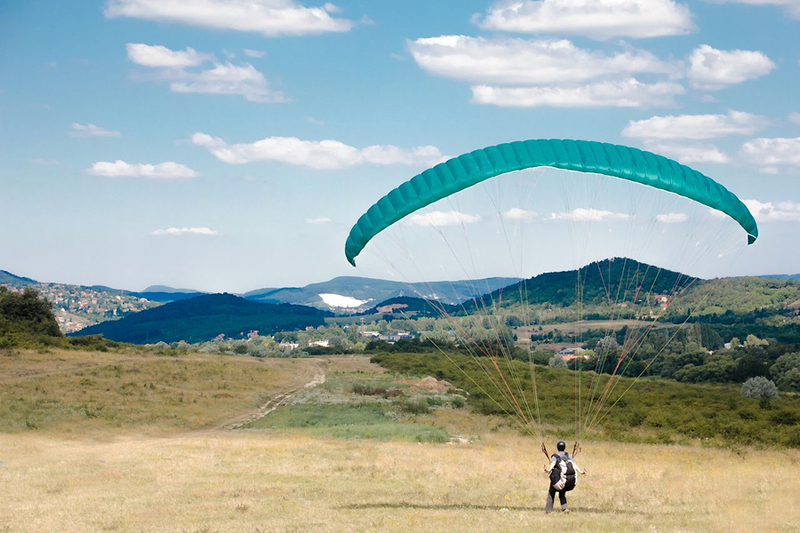 On the last day of the program you will be able to make your first individual downhill glide under the supporting wings of an experienced instructor. 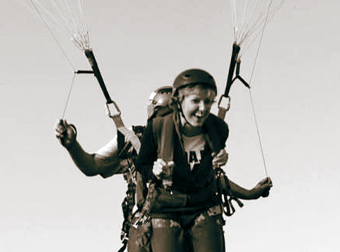 The tandem flight is not only a lifetime experience, but also a sort of trial which helps you decide, whether this is just blazing enthusiasm or true love. 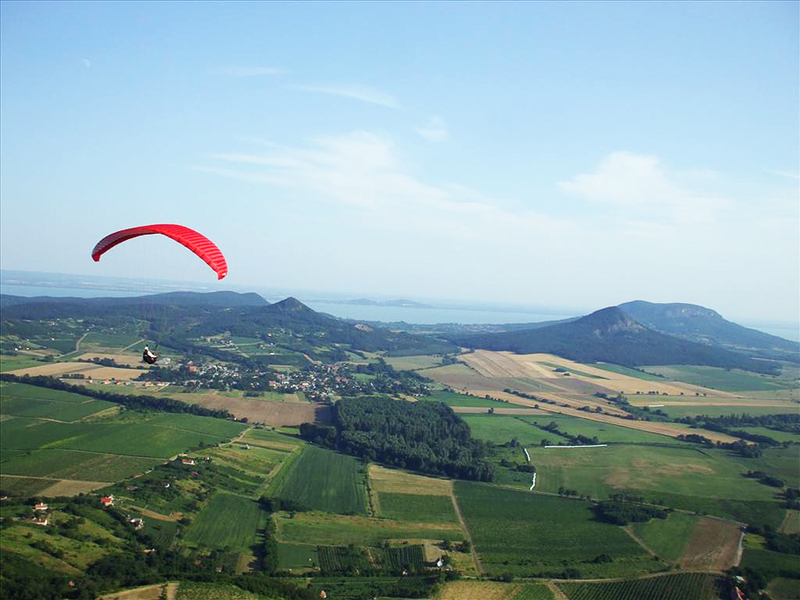 Paragliding strongly depends on weather, so the actual weather conditions and wind directions determine, which available take-off site we will have to choose. The duration of the flight depends on the weather conditions and the terrain. 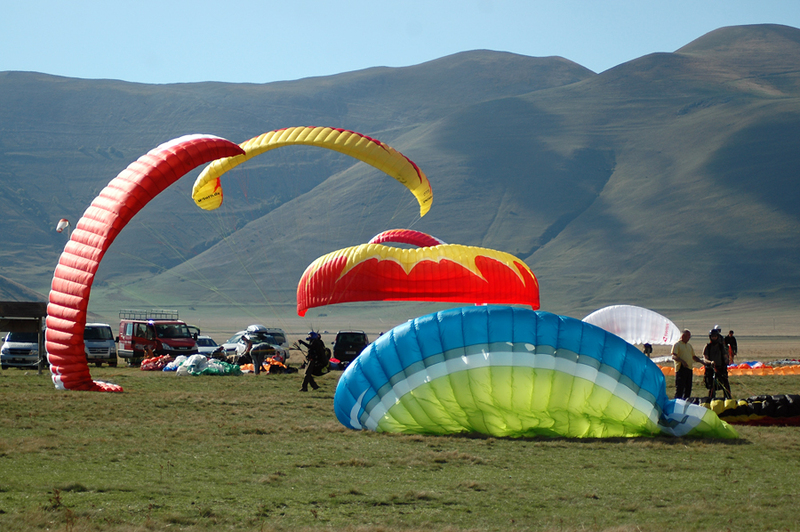 We plan the tandem flight days based on the freshest meteo, trying to make sure to catch the best conditions and have a good flight using thermals and slope wind. You should be prepared to wait at the take-off place with you tandem pilot to find the most optimal period and have the best flying experience. Pack a good portion of patience, be open-minded and breathe in the essence of nature! 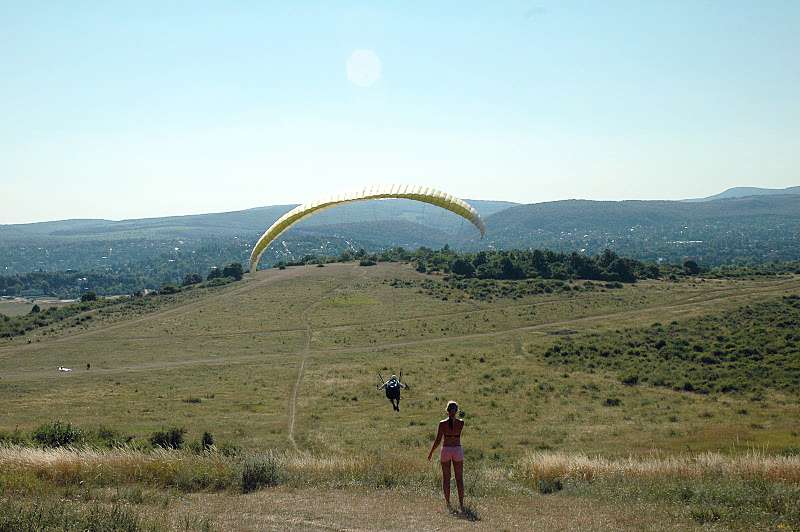 Paragliding is more than a simple sport: it is a lifestyle! Confidence, competence and quality are the most important issues in our job. The guidelines of the FlyAway Team are as follows: SAFETY, IMPROVEMENT and EXPERIENCE. Our leading pilot is Peter Simonics, world record holder of straight distance to a declared goal. You can apply for the course any time – because the theoretical sessions are recurring during the year, and the practical training is tailor-made for your progress. - The theoretical trainings are recurring during the year.